Your life can go up in smoke in the blink of an eye. Fires can be devastating and leave your life and finances in shambles. 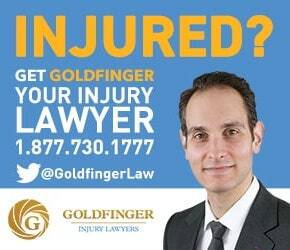 If your home or dwelling has been damaged by fire or burned down completely, call Goldfinger Injury Lawyers today for your free consultation with one of our lawyers. Our lawyers concentrate in recovering benefits from insurance companies; such as property damage and fire loss benefits from your property insurer. Our insurance lawyers have helped countless victims of accidental fire recover millions of dollars. We help families get back to their routines and get back to their lives by assisting them in finding temporary housing until the fire damage has been repaired; and recovering money for the cost of clothing, toiletries, food, electronics and other valuables. We set up our clients with the most knowledgeable appraisers in the industry and in your local market so that we can achieve the most fair value for your home and possessions. The limitation period for fire loss and fire damage claims is very tight. A proof of loss form needs to be complete as soon as possible, and no later than one year after the fire. Failure to complete the proof of loss form for your insurance company may result in your fire loss or fire damage claim getting dismissed on account of delay. Fire loss claims and completing the proof of loss is nothing to sit on; and a lawyer should be consulted right away to ensure that the proof of loss form is completed properly and accurately. One of the biggest challenges for victims of fire loss is piecing their lives together after the fire. If the dwelling is burned down completely, just getting a phone call on your land line, or receiving mail from the insurance company regarding your fire loss claim can be a big issue. Let Goldfinger Injury Lawyers bring you peace of mind so that you can stop fighting with the insurance company and get on with your life. Insurance companies handle fire loss claims and all of the paper work associated with these sort of claims every day. They know the tricks and nuisances associated with the forms you're required by law to complete. You don't. You can certainly try, but the value of your home along with the contents which got lost or destroyed in the fire is nothing to leave to chance. Leave it to the lawyers of Goldfinger Injury Lawyers to assist you with your fire loss claim. Your first consultation with our personal injury lawyers is free, and we take most of our fire loss claims on a contingency fee basis meaning you don't have to worry about paying any legal fees until your case settles. Your home, your valuables and the peace of mind of your family is nothing to gamble on. Call Goldfinger Injury Lawyers today for your free consultation. 5.0 "I would recommend Brian for a fire loss claim or any claim"